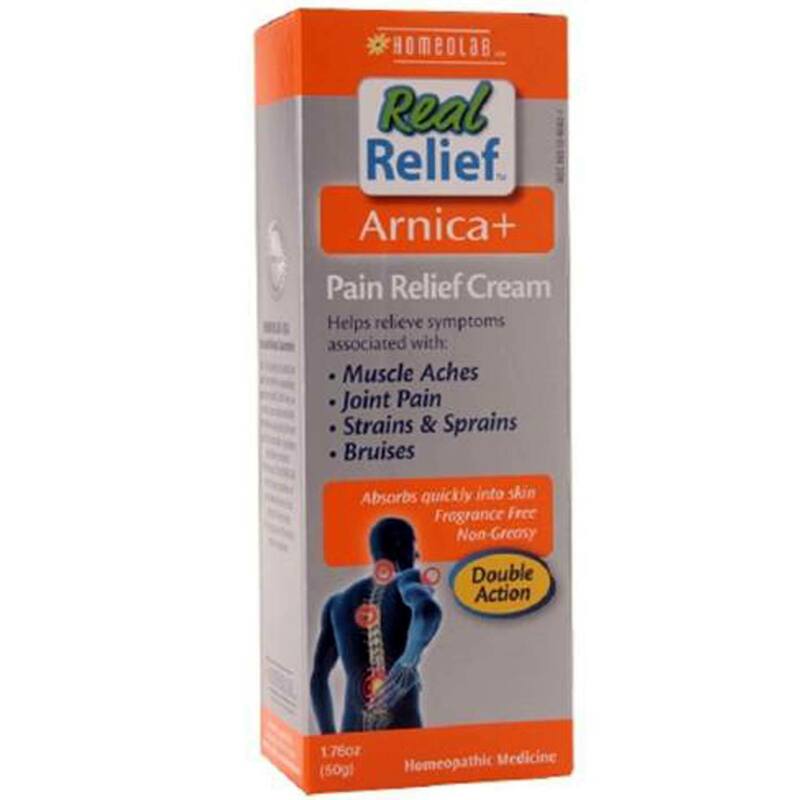 Real Relief Arnica+ Relief Cream from Homelab USA is features a formula that is both fragrance free and non-greasy. Advertências: For external use only. Do not use on broken skin. When using this product, avoid contact with eyes; if contact occurs, rinse abundantly with water to remove. Stop use and ask a doctor if symptoms persist for more than 3 days or worsen or if hypersensitivity and/or allergy occurs. Active Ingredients: Arnica montana 1X (Leopard's bane) and Hypericum perforatum 1X (St. John's wort). Inactive Ingredients: Carbomer, Ceteareth-12, Cetearyl Alcohol, Cetyl Alcohol, Cetyl Palmitate, DMDM Hydantoin, Glycerin, Glyceryl Cocoate, Glyceryl Stearate, Iodopropynyl Butylcarbamate, Isopropyl Myristate, Isopropyl Palmitate, Octyldodecanol, PEG-20 Glyceryl Stearate, PEG-100 Stearate, Purified Water, Sodium Hydroxide, Sorbitan Stearate. Recomendações de uso: Apply a thin layer to the affected area, rub in gently. Repeat 3 times a day or as needed. Children under 2 years: ask a doctor.